About 35 percent of men and 40 percent of women in America are obese. It’s not too surprising because grocery stores are filled with processed, fattening foods. Fast Clinical Weight Loss in Indianapolis, Indiana, has helped hundreds of adults become healthier and happier once they lose those extra pounds. Are you ready? 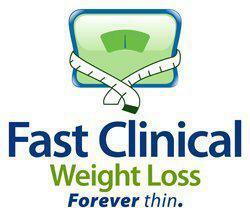 Call or book an appointment online today with Fast Clinical Weight Loss to meet your new weight-loss partner. How do I know if I’m obese rather than overweight? Obesity is excess adipose, or fat tissue. You need some fat because it stores energy. But if you’re obese, you have so much excess fat tissue that it’s dangerous to your health. The most common way to tell if you’re obese is by measuring your body mass index, or BMI. You can easily calculate your BMI by dividing your body weight in pounds by your height in inches squared and then multiplying by 703. For example, if you weigh 200 pounds and are 67 inches tall, your BMI is 31 (200 divided by 67 squared, then multiplied by 703). BMI doesn’t take family history, gender, age, or race into account, but it can be misleading. If you’re extremely muscular and a hard-core athlete or if you’re pregnant or breastfeeding, you might have a high BMI without being obese. The amount of abdominal fat you have is another important measure. Too much visceral fat — the belly fat under your abdominal muscles — can lead to heart disease, Type 2 diabetes, high blood pressure, and some cancers. If you’re a man with a waist over 40 inches or a woman with a waist over 35 inches, you’re at risk of obesity. If the shape of an apple describes your mid-section, you can take steps to reduce your risk. What is the most effective weight-loss treatment for obesity? Effective weight-loss treatment takes all of these factors into consideration. For example, you may have insulin resistance, which can explain your hunger but lack of nourishment, or you could have a hormone imbalance, as in hypothyroidism (underactive thyroid gland), that can cause obesity. Counseling helps you recognize triggers and develop strong coping mechanisms. Because Fast Clinical Weight Loss treats all five components appropriately, you experience a marked increase in energy, dramatic weight loss, and a new body that is ready to live life to the fullest. Call or book an appointment online with Fast Clinical Weight Loss to help you in your weight-loss journey.